Congratulations to "Barbara T" the winner in Jacki's giveaway. Thank you to all who participated! My contemporary romantic mystery series featuring Grayce Walters includes a colorful cast of characters. I carefully developed each one so they would bring something unique to the series. James, Grayce’s cross-dressing best friend, is her faith sidekick, but he also adds a bit of comic relief to contrast the darker elements of the stories. By-the-book hunky arson investigator Ewan Davis is Grayce’s love interest, but his straight-laced logical nature contradicts Grayce’s intuitive approach to life. Included in the lineup, and just as important as any human character, is Seattle, Washington. In both An Inner Fire and Women Under Fire, I used specific elements of the city when I was plotting the story and composing scenes. And as I travel through my Pacific Northwest hometown, I continue to find inspiration for the next book in the series. What makes Seattle a great backdrop for a romantic mystery series? I’m happy to share my top five reasons. 1. Seattle’s proximity to Mt. Rainier–58 miles—offers potential for natural disaster scenarios. 2. As a port city on the border of Canada, Seattle is a logical location for stories that include international intrigue such as smuggling or terrorism. 3. There are numerous naval bases on the islands surround Seattle. Think military action, submarine subterfuge and heroic service men and women. 4. Seattle’s weather is notoriously dark and gray and rainy, which is equally good for setting up a cozy romantic interlude or bad guy skulking around. 5. Seattle is home to several high-tech icons, such as Microsoft and Amazon, which translates into corporate espionage, telecommunications disruptions or worse! 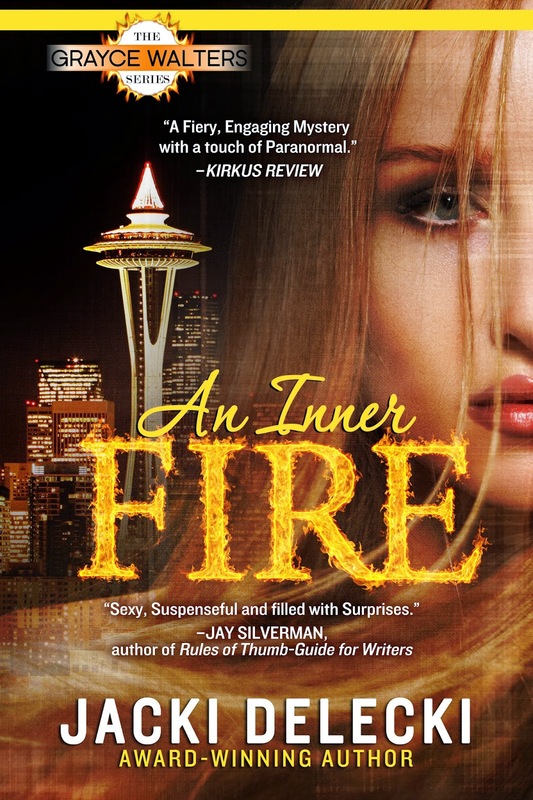 Seattle is my favorite destination for romantic suspense. What’s yours? Comment for a chance to win a digital copy of Women Under Fire, Book 2 in the Grayce Walters series. Good luck! Jacki Delecki is the author of two romantic mystery series, the Regency-era Code Breakers series and contemporary Grayce Walters series. She lives and writes in Seattle, Wash. Learn more about Jacki Delecki at www.JackiDelecki.com. I like any setting in the U. S. I have a hard time connecting with stories in foreign countries. Would love to see a few set in the Midwest where I call home! Thanks for sharing! Debbie ~ I think reading books set in locations we're familiar with allows us to more deeply engage in the story because we can literally "see it." I hope you find a Midwest series to enjoy! Thanks for commenting. Hi Debbie, I always love stories that take place close to home. I like to envision the author's take on the place and whether it matches mine. Good luck with the drawing. And thanks for commenting. I don't know that I have an absolute favorite. I just want it to be a good fit for the story. I love romantic suspense stories set in Washington DC. I also love Washington DC as a setting-- all the political intrigue and all the power plays. I've got one of my characters in Women Under Fire moving to Washington DC with the possibility in the next novel for some DC suspense! I can understand that. What's the most important part of Romantic Suspense for you? Chemistry between the characters? Solid plot? I live in Seattle's sister city Vancouver also a good setting for similar reasons. You're absolutely right. Vancouver is a perfect city for international intrigue! You're welcome! 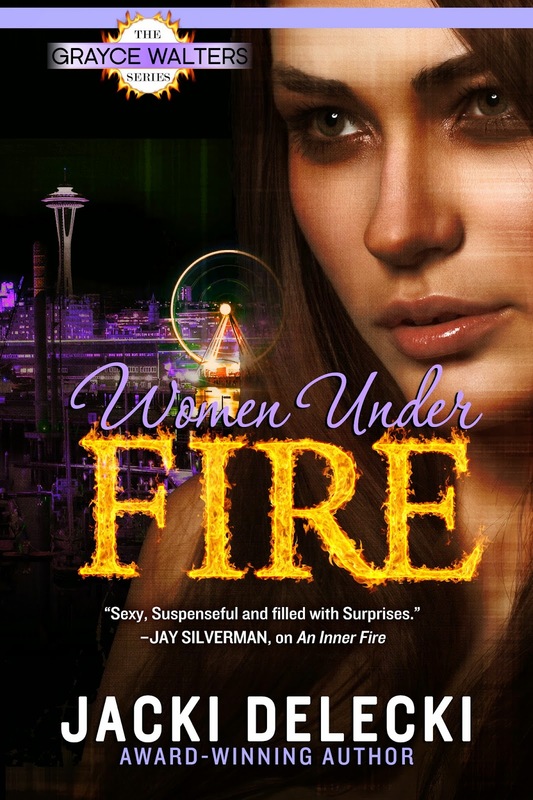 I'm very excited by the release of Women Under Fire. I'm with you. I like to be able to suspend reality and take a ride. I enjoy stories that take places with which I am familiar or ones the writer describes so well that I want to visit.